My husband is obsessed with ranch. I don’t know if I have ever seen him put a different kind of dressing on his salad. I decided to mix my love for Mexican food with his love for ranch. Everybody was happy! This meal that only takes a few minutes from start to finish and tastes great! Your family will never know you weren’t slaving away in the kitchen over these tasty tacos! Just a few ingredients for this easy, delicious dinner! Add cooked chicken and warm it for a few minutes. Sprinkle on the whole package of dry taco seasoning. Do not add any water! Heat for 5-7 minuted until all heated through and taco seasoning sticks to the chicken. 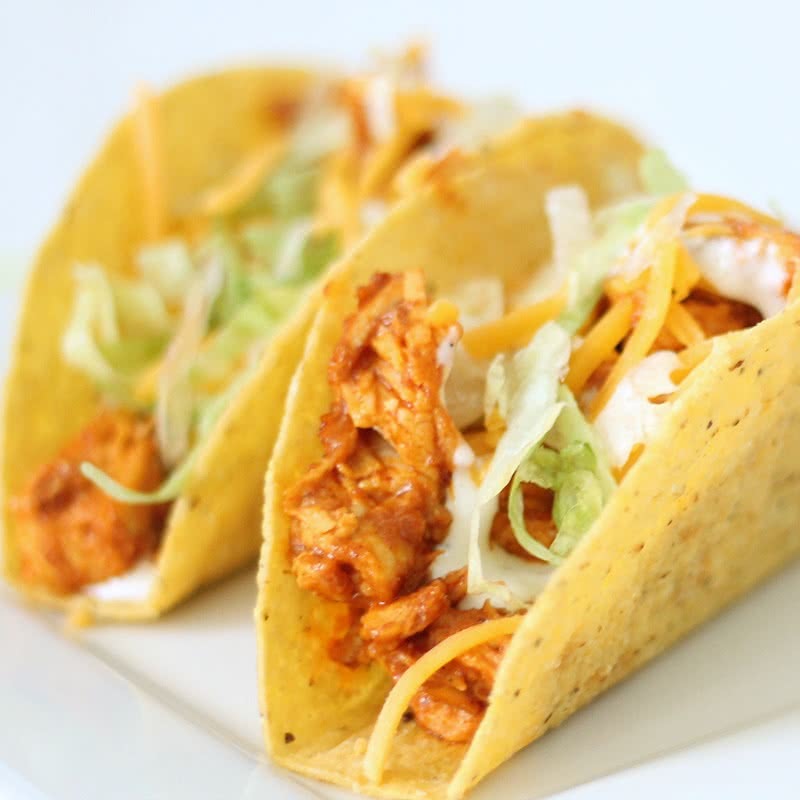 Serve in taco shells and top with shredded cheddar cheese, shredded lettuce and ranch dressing, if desired. These sound delicious! I love chicken tacos and ranch would be a great addition! Yum! My family would love these! Must make them on our next Taco Tuesday! Bookmarked! Can't wait to try these. My whole family is obsessed with ranch :) I know these will be a hit! Yummy! We cook with ranch mix all the time. I found you on Yesterday on Today, I'm the entry after you at the link party! I love your site and that you're sisters. I just became a follower.Hope you'll follow back! We use our taco leftovers the next day for taco salad with the ranch dressing on it:-) Ranch and taco is a great flavor combo! Love this idea!!!! These look SO yummy... I'm always looking for new ways to spice up tacos since I'm tired of the traditional ground beef/ground chicken deal. I'm putting these on my grocery list for a meal next week! Somehow I just stumbled upon this post - thanks so much for passing along my recipe! I'm glad it was a hit & that you've all enjoyed them. I'm looking forward to prepping up a bunch of *your* recipes this week - the freezer meals! Appreciate your blog! 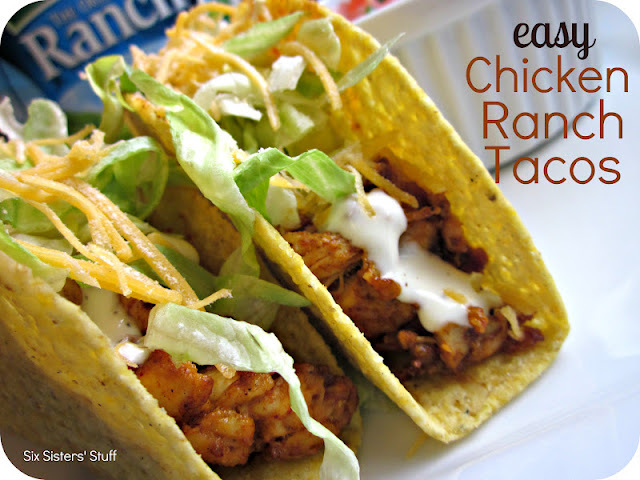 It is good direction for making the chicken ranch taco, I will try to make this recipe in future. Thanks for tacos tips.